All of our outdoor classrooms are built using the highest quality materials and will stand up to continuous and prolonged use. 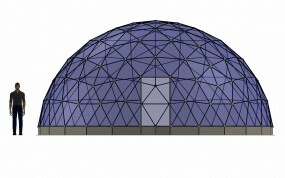 Each dome benefits from 4mm toughened glass, stainless steel fixings and a strong, lightweight aluminium frame, making them both safe and low maintenance. You also have the choice of our standard white finish or a range of colours to complete its appearance. Importantly, every design has top, middle and bottom level ventilation, along with mechanical window winders and a secure door to ensure a comfortable and secure learning environment. 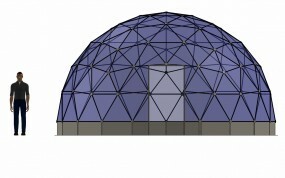 For the SOLARDOME® Haven, Retreat and Sanctuary models there is also the option to have an integrated base. For larger projects that demand something eye catching and inspirational, our new SOLARDOME® PRO system is the ultimate answer. 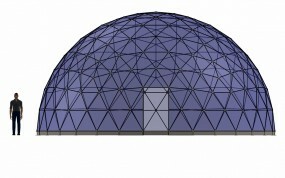 Our SOLARDOME® PRO system creates bespoke dome buildings and skylights from 10m-25m diameter. The POD is perfect for demonstrating horticultural methods by growing fruit and vegetables. The Haven is regularly chosen by schools and colleges wishing to provide a venue for independent and small group study sessions. The Retreat is the most popular choice for an outdoor classroom. It can accommodate classes of up to thirty at primary level. 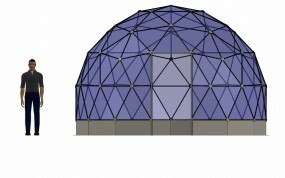 The Sanctuary is suitable as a larger outdoor classroom or STEM facility. It accommodates classes of up to thirty at secondary level. 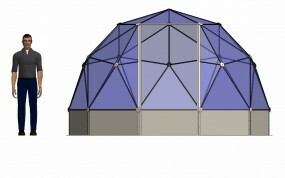 The Paradise is ideal for science experiments and large scale horticulture. It can comfortably accommodate a mezzanine level for increased floor area. For larger projects that demand something eye catching and inspirational, our new SOLARDOME PRO system is the ultimate answer. Ideal for rooftop classrooms, skylights and even vocational teaching facilities. 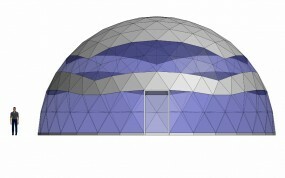 We can provide general planning guidelines and detailed technical information about our domes to support planning applications if required. In the first instance we recommend that you contact your local planning department for specific advice on your proposed project. There is further information and an example response from a county council about planning permission contained in the frequently asked questions section.